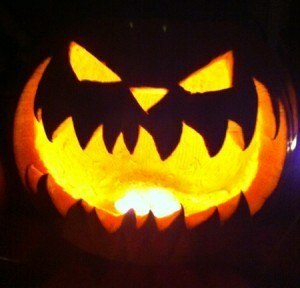 Pumpkins are famously associated with Halloween, carved into jack-o-lanterns and used as spooky decorations. What isn’t so spooky is the plentiful health benefits of pumpkin, both from the flesh of the fruit and the seeds found inside. Rich in antioxidants, flavonoids, vitamins and minerals while containing very few calories and no cholesterol or saturated fats. With just 26 calories in 100 grams of fresh pumpkin and rich in dietary fiber, pumpkin is often recommended to individuals attempting to lose weight or lower harmful cholesterol levels. Pumpkin seeds are another great source of dietary fiber, with an enormous amount of protein. 100 grams of pumpkin seeds contain about 30 grams of protein and 560 calories. The seeds are also rich in the amino acid tryptophan, an essential part of a healthy diet. Pumpkin fruit contains a natural antioxidant known as zeaxanthin which yields fantastic eye health benefits. It acts as a UV filter in the retina, helping to protect the eye from age related macular disease. While pumpkin pie is probably the most common use for pumpkin fruit in the kitchen, it has a wide variety of culinary uses that are as delicious as they are nutritious. Lending itself perfectly to sweet dishes, pumpkin is found in a plethora of desserts as well as soups, curries and pastas. Roasted pumpkin seeds with sea salt is another seasonal favorite often enjoyed after carving the festive lanterns. Almost the entire fruit is edible, from the flesh, seeds, flowers and leaves, there are great recipes for every part of the pumpkin. Generally available year round, start experimenting with different recipes featuring pumpkin. You can supplement your diet with a variety of vitamins, minerals and antioxidants with very little caloric impact. Pumpkins are so much more than decorative lanterns and pie filling, they are truly a super-fruit to be enjoyed year round. 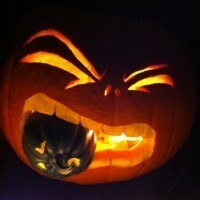 That being said, Happy Halloween! 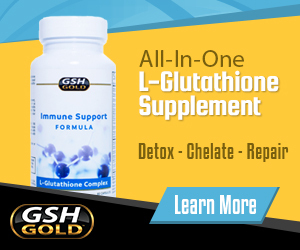 Can You Absorb Glutathione Supplements?